Always wanted a beachside wedding?? Now you can! The combination of our beautiful, 5km blue flag sandy beach and Ballycotton Bay make the perfect romantic setting for your memorable day. Our Glorious Ballroom at The Garryvoe Hotel Ballroom is purpose-built just for weddings and only weddings. Everything we've learned in 50 years of creating memorable weddings has been distilled into this singular design. Inspired by the Hollywood glamour of the 1930s, The Garryvoe Ballroom is a grand and glamorous space with soaring, high ceilings highlighted by sparkling cut-crystal chandeliers and wall lights, oversized mirrors and natural light. The fabrics and decorative colour scheme of relective soft gold, silver and white create a warm, intimate and luxurious feel. Crisp white linens, classic white and crystal table settings, grand silver candleabras and fresh lily centrepieces as standard create an ambiance of timeless, magical glamour. Your guests will appreciate the comfortable club-style leather sofas and chairs for mingling and relaxing before and after the meal while the in-room Bar means your guests are all together in the one space.There's space for everyone in fact up to 300 guests can be accommodated and when it's really time to party, those beautiful, classic-liner inspired crystal chandeliers become a colourful LED display sure to keep the dancefloor filled! The Garryvoe Hotel is a Hotel Wedding Venue in Cork Ireland servicing weddings throughout the local area including Cork city & county, Limerick & Waterford. 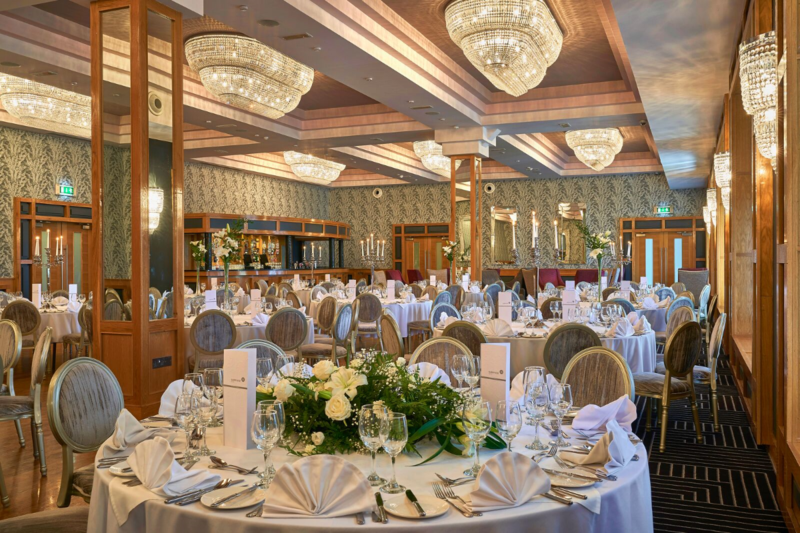 The Garryvoe Hotel is a professional Hotel Wedding Venues that has been part of the Hotel Wedding Venues industry since 1963 specialising in Weddings in Cork city & county. We both found Aidan fantastic to deal with. He is really relaxed and pleasant and genuinely wanted to give us the best wedding possible. We booked it for next year and can’t wait to continue to work with Aidan on the build up to our day. The Garryvoe was a dream location for our wedding, a beautiful hotel in a beautiful location. Aidan, our wedding coordinator was really easy to get on with and professional. He and the team were helpful and flexible in the run up to the day and even though we don't live locally, we found dealing with the hotel from a distance really easy. On the day itself the guys in Garryvoe made ran things perfectly. Everything ran smoothly whilst also being really relaxed for both of us. All our guests commented on how helpful and welcoming the staff were, and were completely blown away by the quality of the food. If I could leave 6 star review I would. Staff go the extra mile to take the stress out of the whole thing.Outstanding food, service and value for money. They made our special day extra special. 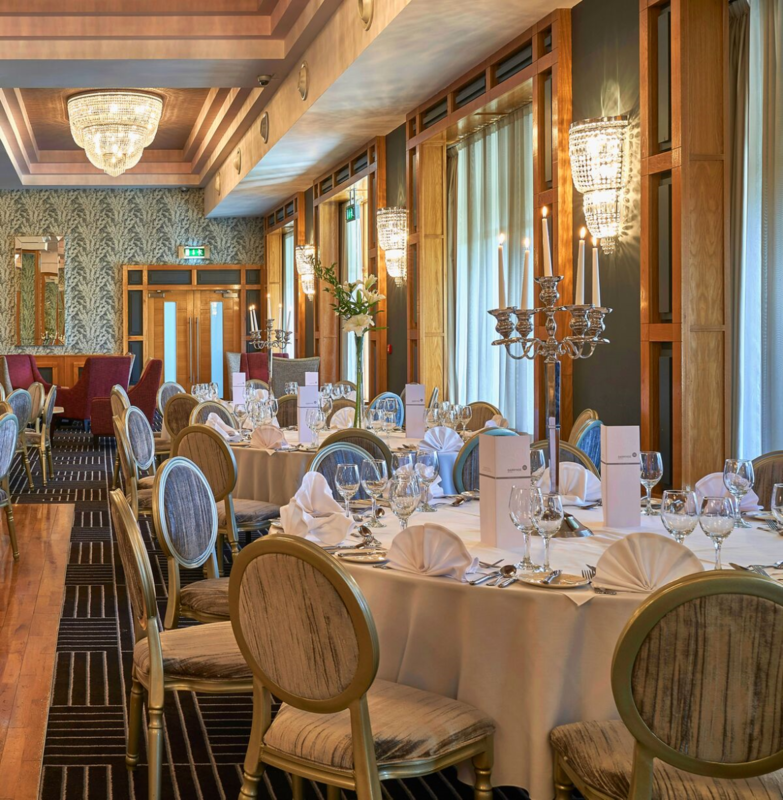 Of course it is so hard to know where to choose for your wedding reception but as soon as we saw Garryvoe Hotel we were immediately intrigued. The staff there were so friendly from our very first interaction with them, then so helpful and professional as we outlined our plans, confidently assuring us that what we wanted was perfectly achievable. We genuinely wondered if we really could be as lucky as we felt when we went ahead and booked the hotel. When we got back in touch with the team at the hotel as it got closer to our wedding day we were met with confidence so self-assured it could even have been mistaken for complacency, but this confidence turned out to be impeccably well founded. The level of professionalism shown by every last member of the team was remarkable and their ability to demonstrate a wealth of experience and an unmistakable passion for their craft meant that our wedding reception was filled with moments that we will treasure forever. To simply say that the team in Garryvoe know what they are doing would be a profound understatement. The sometimes subtle, personal yet always elegant touch given to every last aspect of their involvement would be difficult to accurately describe without spoiling some of what they have in their considerable box of tricks. Seemingly little things and unexpected touches really do make such a difference, even when the “big things” are positively knocked out of the park and that’s absolutely what they did. The fabulous food, enchanting surroundings and a spectacular location had our guests marveling to us at what a stunning choice we made for our wedding reception. We were reminded of how lucky we felt when we found ourselves there in the beginning, except that what the team delivered truly exceeded all of our expectations. Words can’t describe what it means to us to have had such capable allies there for us on such an important day. Thank you all so much for your part in the best day of our lives. ‘Till we meet again! We found the Garryvoe Hotel excellent, not only for its scenic location but for the friendliness and professionalism of the staff. No request was too much and the day itself was run to perfection. From the first day we visited the hotel to the follow up after the wedding, we could not have asked for more. We would highly recommend the Garryvoe Hotel. Garryvoe was our dream location and it really did deliver. Food, service, hospitality and willingness to accommodate are second to none. All our guests were so impressed with the quality and the setting. Completely understand why it's so popular and always winning awards as the guys who work there go out of their way to accommodate your every need. Garryvoe hotel was a brilliant choice of venue for us the location was exceptional, the hotel scenery was fab, the food went down great with all our guest they all loved it. The staff couldnt do enough for us they were so friendly and helpful, very pleasant to deal with. Garryvoe hotel had great attention to detail for for weddings we loved it for our wedding. We would highly recommend it. Stephen Belton and all of the staff at the Garryvoe were a dream to deal with for our recent wedding. All of our queries were answered promptly and we didn't have to worry about anything; Stephen knew what to anticipate and everything was taken care of for us. The food was amazing and there and the service was excellent. Beautiful hotel, stunning bridal suite. Rooms are large and the vast majority have been renovated recently. Every request was catered to. Food was outstanding and the service was faultless. We had our wedding ceremony and reception in September and I can’t explain how incredible our experience was from start to finish. We viewed a few hotels originally and obviously Garryvoe hotel is stunning but what made the final decision for us was our meeting with Ben, after speaking to him we knew we would be in safe hands with him and that goes along way when you are planning a wedding. Every time we called to the hotel after that we were so well looked after and nothing was to much to ask for, it confirmed we made the right choice. The wedding day arrived and needless to say the day and entire weekend went off without a hitch. Both myself and my husband were made to feel like the most special people in the hotel for the entire weekend. The staff were absolutely amazing from the wedding coordinators and management down to the bar men, everyone we dealt with were genuinely lovely people and had the best attitude towards both us and all our guests. The food was devine (everyone at the wedding said so) and it was such a relaxed atmosphere, Liz had the everything under control. 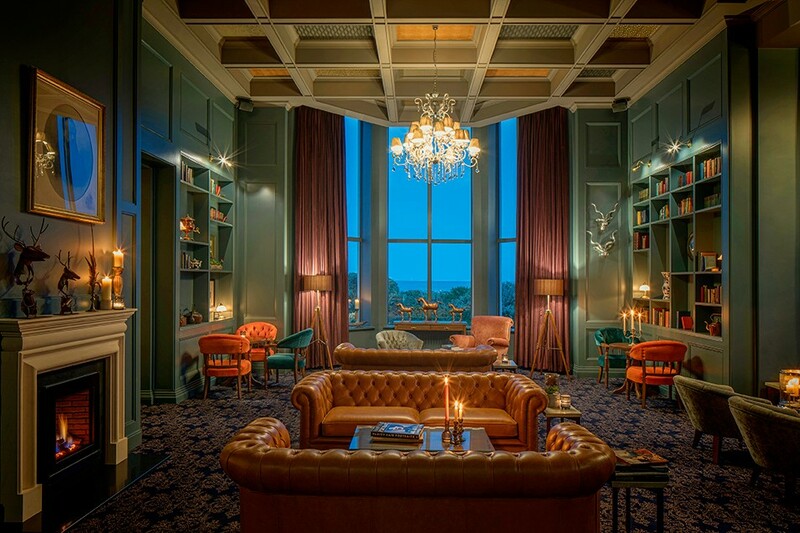 The hotel truly is a credit to East Cork and now one of our favourite spots. I can’t thank everyone at Garryvoe enough for making our wedding the most perfect day. My husband is from Dingle and his family (all of whom stayed in the hotel for 3 nights) are still talking about the level of service provided by all the staff at Garryvoe. They really could not get over how friendly and genuine the staff were and how stunning the hotel was. They mentioned that in all their time in West Kerry (a tourist hotspot where you would expect a high level of service) they have never witnessed anything like Garryvoe Hotel. If we were to do it all over again there is nothing I would change and for that reason I would recommend Garryvoe Hotel to anyone looking for the perfect wedding venue. We had our wedding in Garryvoe and I can't recommend them highly enough. From the first day we went to meet them, we found them very helpful and catered for all our needs. They were always quick to respond to any request on the lead up to the wedding and on the day itself they were brilliant. All our guests were complementing the venue also. We got married on the 18th August 2018 and had our reception in Garryvoe Hotel and it was spectacular day. It was absolutely stunning. We had an amazing day. The guests were really blown away by how friendly and helpful the staff were. The food was unbelievable. They thought it was magnificent, we are still getting people telling us how wonderful the food was. We recently received our photographs from our wedding and the decor of this beautiful hotel was spectacular in them. The Samphire Space was wonderful for guest to mingle and talk after the wedding ceremony. Organising such a big event can be very stressful however Garryvoe Hotel made it extremely easy for us. There was never an issue. The attention to detail was outstanding. Even Stephen Belton (managing director of the Hotel) went to get a scissors and remove a loose thread from my wife dress just before we entered the function room for the very first time. They were fantastic especially with the function room. They way they had it all laid out from the decor to the dressing of the tables and chairs with flowers or candelabras for all our tables. The service was 5 star! All our wishes were granted. All the team were superb. I cannot recommend them highly enough. Thank you for such wonderful memories. We booked Garryvoe hotel back in September 2016 and from start to finish the management and staff could not do more for us. We stayed for 4 nights during our wedding and were treated like royalty. No request was too big or too small and it was great as the bride and groom to be able to relax knowing our guests would be well taken care of. The food whether in the bar, wedding or in the bistro is top notch. Anyone considering Garryvoe as their venue will not be disappointed. If I could offer any advice.. the day goes so quickly take the tine to take 5-10 mins together on your own on the day to take it all in! they where perfect. no request was to crazy like we had a dutch and Irish flag by the rooms, we had green led lights in the room for the dinner and the reception. They where perfect on the day of the wedding making sure anything was going as wished. I could not be more gratefull to Ben, Aidan and Brendan for their help making my wedding perfect. the food for the dinner was perfection and enough and the wine was delicious. Everything was amazing. Could not fault anything about the wedding day. The room was nice and comfy. Garryvoe was a fantastic location for our wedding. The scenery is amazing and the hotel from start to finish were amazing deal with. The hospitality and willingness to accommodate was impressive. No request was too much for them and the day itself was run to perfection. The food and service was excellent and the staff were always so friendly and helpful to deal with. Big thanks to Aidan, Ben and their super team in Garryvoe for making our wedding day a dream come through. We would highly recommend them! I was staying at the hotel the night before my wedding, there was another wedding on that night and I couldn't sleep because of the music! That's the only bad thing I have to say as Stephen belton and his co workers, every one of them were so helpful and polite and friendly, they went out of their way to make our day as special as they could. I couldn't recommend this hotel and more, food was delicious, the honeymoon suite was amazing, the hotel is beautiful! We had a second day entertainment and we were accommodated with our requests on that as well. An amazing venue that has deservedly won several awards. We were dealing with Stephen belton general manager in relation to our wedding nothing was too much trouble. I had a list of requests which he took care of we were in safe hands. Our wedding meal was fantastic everyone commented on how fabulous the hotel was and how friendly the staff were. We had a second day there aswell which we had in the library area. It was such a relaxing day and everyone enjoyed it. People could walk along the strand or use the swimming pool in the hotel before our second day party. We were treated like royalty from start to finish would highly recommend to anyone considering a venue by the sea. Excellent from start to finish. The level of service and flexibility was top notch and we never had to ask for something twice. All of our guests had a brilliant time and we couldn't have imagined getting married anywhere else! Brendan made sure that everything was perfect for our day. We had our wedding reception at Garryvoe Hotel in July 2018 and I cannot speak highly enough of all of the team working in the hotel. From the first day we went to see the hotel we were very well looked after and felt the friendly, welcoming atmosphere the minute we walked in the door. The food was top notch, the service was excellent and Ben was extremely easy to deal with any time we needed anything. Thanks to everyone at Garryvoe Hotel for making our Wedding Day so relaxed and enjoyable! From our first meeting with Garryvoe Wedding planner, Brendan, to checking out the day after our wedding, everything was amazing. We simply cannot recommend this venue enough. We would have our wedding day all over again in a heartbeat not changing a thing! The location of the venue is fantastic with breath-taking views of the Atlantic. The staff are truly friendly, genuine and couldn’t do anymore for us or our guests. The food was delicious and plenty was served to everyone. The Honeymoon suite was out of this world! All our wants and wishes, from finger food, to walk in music and every aspect of the wedding was carried out without a qualm. All in all, I have and will continue to rave about Garryvoe. Thank you to all the staff of Garryvoe for giving us the best day! Thank you so much to the team at Garryvoe Hotel. We had the most amazing day. We felt looked after from day one. Our guests were blown away with the food and how friendly all the staff were. Garryvoe will always have a special place in our hearts and we could not recommend them more. We had our wedding in may 2018 in the stunning garryvoe hotel. We booked it 2 years in advance & from the moment we met ben and talked through everything that the hotel offered we knew it would be perfact for us. All of the team were great they couldnt do enough for us & when i stayed the night before with my wedding party it was the same. Our day came & went but everything went so perfactly thanks to everyone being so professional. Everybody complimented the food and service on the day. I wish we could re-live the day over again but i look forward to returning for our anniversary. I cannot speak highly enough of this hotel as a wedding venue. We had our wedding here, reception and ceremony, they were so professional but also so personable, reliable and easy going. They deal with a huge volume of weddings but we never felt as though it was just another day at work for any of the staff. We came down the night before and stayed for the night after celebrations. Everthing ran flawlessly, they accomodated any last minute hiccups from our end, there were a few!! I would like to in particulr mention Ben, Brendan and Liz for making our day truely specia and memorable. We had a fantastic day for our wedding in Garryvoe. All the hotel staff were a pleasure to deal with in organising everything and on also the day itself. We choose to have a small reception but that in no way meant we received less of a service from the hotel. In fact we and all our guests were delighted with how well we were looked after and how special they made us feel on the day. The food as always was beautiful, guest rooms are very spacious and well decorated and the hotel is fabulous in a lovely setting. Brendan and Aidan were great to deal with nothing was a problem even when we went all peaky blinders and gin on them.... we had never stayed or had food in the hotel when we booked it,, and they gave us an amazing tasting we felt quite special and tipsy.we stayed two nights and loved the hotel in the November... on the day 98% of our guest had never been in the venue and were blown away by the beach, venue and omg the food.... we stayed three days for food and drinks with big guest lists and they met every request even rugby six nations on the big screen day two and offered a trad in there really good cave bar for the evening...they are very relaxed which set a great tone from start to finish with the nine months of dealing with the hotel..... great memories of an amazing weekend and we’d love to recommend the guys and the hotel for weekend stays or the wedding of your dreams.... we can’t wait to visit soon... well done garryvoe deserved of all your awards. We could not have asked for a better Wedding Reception at Garryvoe hotel. Everything was just perfect! The staff were fantastic right from the day we visited the hotel. We knew from the day we booked we were in good hands and didn’t need to worry about a thing. All our guests were delighted with their rooms and couldn’t get over how beautiful the hotel was and how friendly and helpful the staff were. The food was outstanding and guests were offered second helpings which was a real plus. The venue was just perfect. The day flowed flawlessly, thanks to all the staff at the hotel. This allowed us to relax and enjoy our day with our guests which is what it is all about! Thank you Garryvoe for the most memorable day! I could not recommend Garryvoe Hotel highly enough. The staff were exceptional in the lead up to the wedding, and were always available to take our calls or meet for a chat. On the wedding day, everything went perfectly, and all the guests were very complimentary with regards the hotel. The meal was beautiful and the service was quick and friendly. Overall the whole experience was excellent. We got had our wedding reception in Garryvoe Hotel on the 18th of November 2017. The whole experience was amazing from start to finish. We looked at a few hotels but once we visited Garryvoe we were sold. We had a food and wine tasting as part of our package and that evening was without a doubt our favourite part of wedding planning. We didn't need to think about anything on the day as we were able to rely fully on the staff in the hotel to run the day perfectly. In particular Liz and Brendan on the day were so helpful & nothing was too much trouble. So many people mentioned to us how much they loved the hotel and the meal on the day but also how welcoming the staff were across the hotel. I would recommend the Garryvoe Hotel to anyone planning their wedding. Dear Garryvoe Hotel, You did a wonderful job of our big day. Every detail was effortlessly provided for. You were very helpful in advance and open to ideas. You never pushed extra stuff on us; it was more a case of 'you dont really need that bit'. The food was great, the surroundings were beautiful and all the staff from the boss to the barman were friendly. All our 250 guests loved the place and will come again. On the day after the wedding one of our guests lost an essential bit of kit from her wheelchair and the hotel staff pulled out all the stops to see that was found. Well done. We have no hesitation in recommending the Garryvoe Hotel for weddings or similar events. We had our special day on the 04/11/17 in garryvoe and it was absolutely beautiful. I couldn't have asked for anymore out of garryvoe. From the moment we booked with them they made sure all my needs and questions were answered. We are living in the UK at the moment and they made things so easy that we didn't need to come back often. With Skype calls, emails and telephone calls from them to make sure i was kept up to date with all that was happening. Our guests couldn't stop telling how much they loved our venue and how much the staff took care of them. The food is amazing and they make sure everyone has had enough to eat. Im so happy that we chose to share our special day with them and I couldn't thank them enough. I highly recommend them to everyone. Cannot recommend Garryvoe any higher. Anyone thinking of choosing them as your wedding venue, you will not be dissapointed. From day 1 all our questions were answered promptly and we were very well looked after. The food and atmosphere were fantastic on the day itself. The staff must get special mention, every person we dealt with was professional and efficient while also being very warm and welcoming. The staff were fantastic, so friendly and accommodating. We cannot wait to return to spend another night there. The food is outstanding. All our guests were very impressed. I would highly recommend Garryvoe for a wedding, getaway or even just a nice relaxing meal. Our day went off without a hitch thanks to Ben and the rest of the wonderful staff. We had our civil ceremony at the hotel itself at 3pm in October. The big glass windows at the front of the hotel create a perfect backdrop for family photos. Further photos can then be taken on nearby beaches or in beautiful Ballycotton. 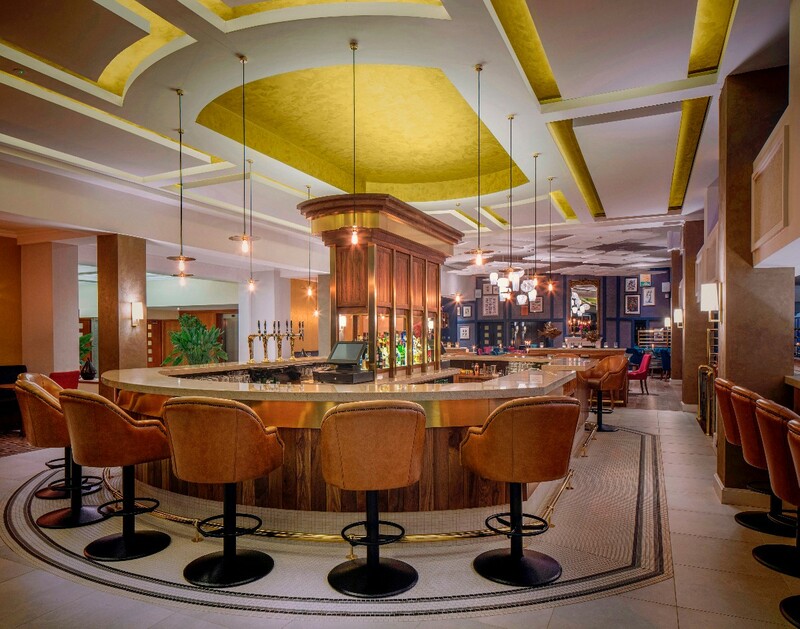 The newly renovated bar and lounge areas are perfect for your guests to meet during the drinks reception. Our guests were delighted with the meal they received. Generous portions and plenty of second helpings on offer. The waiters and waitresses on hand were extremely helpful especially to us at the top table. The bar man on the night was also great and very obliging. 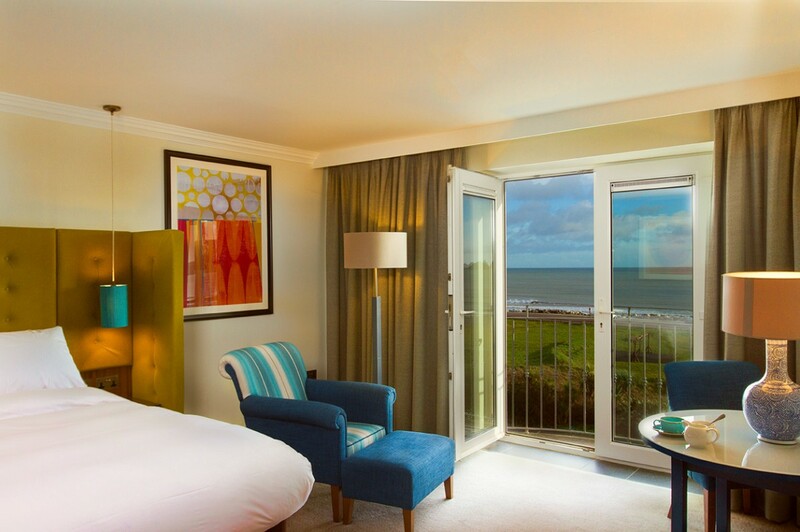 The bridal suite is amazing with stunning views out over the bay. The newly refurbished rooms are top class. Look out for the little elf doors along the corridors. Also make sure to visit the leisure center. It’s very relaxing and modern. It even has an outdoor tub. I’ve passed this hotel so many times cycling and running and on Sunday spins and live very close. But I had no idea what a top class hotel was on our doorstep. We can’t wait to go back for our 2nd free night in the honeymoon suite. If I had one suggestion for the hotel it would be to invest more in the civil ceremony room. Civil ceremonies are very popular now and to have a ready decorated room would attract more in my opinion. From the very first meeting we had with the Garryvoe Hotel we knew this was the hotel we wanted to have our wedding reception in. We actually didn't view anywhere else! The food, the service is just second to none! They went over and beyond to make our day the most special day not just for us but for our guests as well. Couldn't recommend the hotel highly enough. Thank you to all. From the first day we met with Andrzej to the days after our wedding all the staff at Garryvoe have been fantastic. After our first meeting we knew we wanted to get married at Garryvoe, they made every aspect of the preparations so easy and straightforward and we really felt they were looking out for our interests. They were prompt in getting back to us with all our queries and had great advice. On the week leading up to the wedding and the day itself they did so much and had thought of everything possible so that we could just enjoy our day. The food was incredible, extremely tasty and good sized portions. We are still getting compliments from our guests on how good the hotel was. Really cannot say enough good things about the hotel and staff, the location is obviously incredible too and we had lovely photos taken outside the hotel down on the beach. Would recommend to anyone and looking forward to going back there again. My husband Michael and I got married here, August 2017. Garryvoe hotel really made our dream day come true. Stephan The GM and his staff were so professional to deal with and looked after us every step of the way. The ballroom is elegant and perfect space. We had 160 people at our wedding. All our guests told us how wonderful the whole day was from start to finish and the hotel rooms were sensational, especially the two floored bridal suite. The food was hot and served with no delays. It's located right by a beach and guests were able to stetch their legs after the meal. Everything about the day seemed effortless and flowed together perfectly. I can honestly say that I would certainly recommend a wedding reception here it truely was a magical day that will be remembered forever. We choose Garryvoe Hotel for the extremely quick response via email and for the venue location. 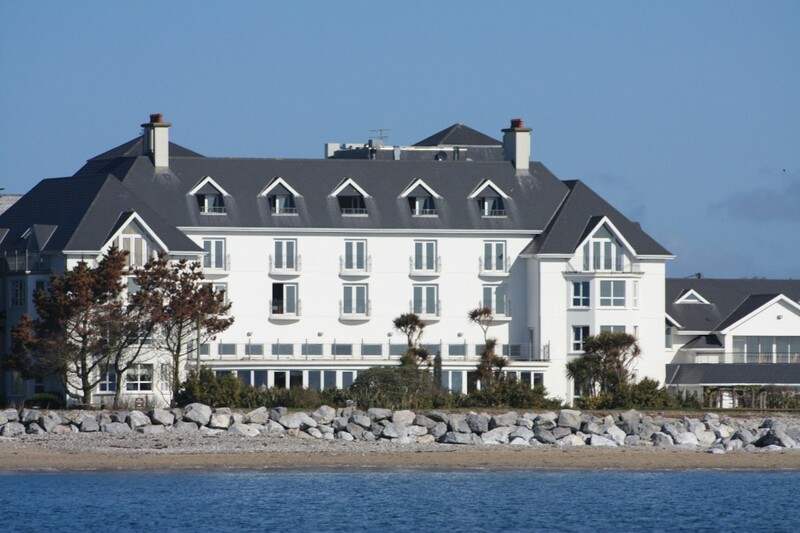 Set on the stunning beach front of Garryvoe, The Garryvoe hotel is THE venue to get married at. The bridal suite is unbelievable with gorgeous views out over Ballycotton bay. From day one Andrezj and the team were just amazing. Each and every member of staff made us feel so special; nothing was a hassle for them. When booking the venue, Andrezj kindly showed us around the venue via Skype as we both live aboard in NZ. Emailing was the best method of communication for us, and I can say the team at Garryvoe responded within 12 hours or less. As our civil ceremony was the first we would ever attend, Andrezj talked us through the day step by step and what would happen. This really helped put my nerves at ease. All our guests mentioned how relaxed the day was and wish they could do over their own weddings to have the wedding we had. As always the food was delicious and couldn't be faulted. All our guests were served at the same time. My only regret was my dress was too tight to eat any more food. We both really loved our day at The Garryvoe Hotel and would to do it all over again. Couldnt reccomend The Garryvoe Hotel enough! It s the perfect setting. The hotel is truely amazing.From the decor to food and not to forget the amazing bridal suite you won be dissapointed. The staff cant do enough for you.For any brides or grooms thinking about having there big day in the Garryvoe as i can say is you wont regret it. The staff of Garryvoe Hotel were in essence amazing. Everything that I wanted done was taken care of immediately. No problem was too big or too small and someone be it Stephen himself or Ben or Andre were always on hand to answer any questions, queries or worries I may have had. The women at reception were so professional, friendly and quick in their response. They always took the time out to chat which I think is lovely and made a difference. On the day all our guests had a wonderful dining experience. We had a few guests with allergies and they were catered for very well on the day. Overall a 5 star experience. We were married in the Garryvoe Hotel in July and had a truly wonderful day. In fact we had three super days there ! From the moment we walked into the hotel, we knew it was where we wanted to be married. It's a stunning location and a beautiful hotel and we were very proud to bring 70 of our closet family and friends there. We had a civil ceremony followed by a drinks reception in the library and enjoyed a gorgeous meal in their smaller function room at the front of the hotel. We found all the staff from the front reception team, restaurant staff and the management team to be excellent. It didn't seem to matter that we were a relatively small wedding and probably one of 3 or 4 that week. All of our guests were really impressed by the hotel. People commented about everything from the food to the staff, to the bedrooms and the location itself. It ticks a lot of boxes !! The choice of bars is also something we really liked. They catered for everyone as did the bistro bar and restaurant. For me a stand out memory is the bridal suite. It is just breathtaking and the views are amazing. It was such a relaxing place to get ready and according to our photographer it is the most spectacular bridal suite in the country. High praise indeed ! We can't recommend the Garryvoe highly enough. It was absolutely perfect for us and we will certainly be back next year to enjoy the hotel and indeed East Cork again. We had a great experience with Garryvoe right from the 1st time we met Andrè & the whole way through. Anything we wanted was possible & he did all he could to help us make our day special. Unfortunately Andrè was called away the day of our wedding & wasn't able to be there on the day itself. The food was delicious & the staff were brilliant. Looking forward to a visit back for our anniversary. Every part of the process of planning our wedding reception at the Garryvoe Hotel just went so well. And the day itself was just so magical and it all went off better than we could have imagined. From the first day we met with Andrzej to the weekend of our wedding all the staff at Garryvoe were just fabulous. After our first visit to Garryvoe, we knew we wanted to get married there. All staff at the hotel couldn't have been more helpful when it came to planning our big day. Their very friendly staff really helped an awful lot and we're very responsive when it came to queries and requests. They were a real help when it came to picking the food and drink for the day and came up with some great suggestions we wouldn't have thought of that in the end were very popular. Nothing seemed to be a bother to them, they put out our personal decorations and set up a sweet table for us, that we supplied ourselves. It was a very popular addition. The ballroom just looked so stunning. On the day itself, again I can't speak highly enough of Andrejz, Ben and their team. The evening flowed so brilliantly and included the lovely touch of a few quiet moments alone to take it all in while the guests took their seats. Amazing food and wonderful service The following morning was so nice too. Really accommodating, no rushing us out. In short a great experience at the Garryvoe Hotel. Very many of our guests are still complimenting the food, which was just delicious. And so many have said what a wonderful evening and night they had. We want to thank all the staff in Garryvoe, the girls at the front desk, the servers, the chefs & kitchen staff, and of course all the management staff. We just had the most spectacular day. One we will never forget. We couldn't recommend the Garryvoe Hotel more. From the moment of enquiry to the moment we checked out, Stephen, Andrzej, Ben and the entire team went above and beyond to make sure we were looked after. We were planning the wedding from abroad and they made it so easy and were always quick to respond to any question or enquiry we had. Our guests were all delighted with the bedrooms, and all of them commented on the excellent standard of service and food at the meal. Thank you to all of the team at Garryvoe for making our day so special, we will treasure the memories forever! We got married in Garryvoe on Friday 23rd June and all the staff at Garryvoe were amazing from the first time we viewed the hotel to the checking out of the hotel on the Saturday! We had the best day of our lives and every aspect of our experience at Garryvoe was absolutely fantastic!!! Special thanks to Stephen, Ben, Andrzej and Joanna who were a pleasure to deal with. No request was too big or too small and they really went above and beyond. The food was 10/10, The Bridal Suite is out of this world, the front bar is stunning, the reception room looked amazing. We have had so many compliments about Garryvoe from our guests and The staff made everyone's day (and very late into the night) enjoyable! Thank you again! We chose the Garryvoe Hotel for our wedding as it really is the most perfect beachside wedding location in Ireland! Stephen Belton and all the staff there ensured that we had the most amazing day of our lives! They were so attentive to our needs and nothing was too much hassle! The staff were so warm and friendly from the initial booking, right through to the day itself! The food on the day was simply divine and the staff were constantly making sure that everyone had more than enough food and drink. 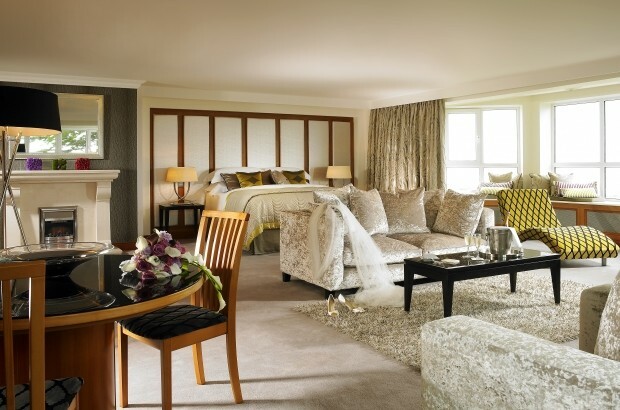 The bridal suite is stunning with incredible views out across Ballycotton Bay. Our guests are still raving about the venue and we highly recommend it to anyone looking for an exquisite wedding venue! We literally did not even look at another wedding venue we had just decided one day to take a trip to garryvoe for dinner and came home with a venue booked!! As soon as we pult up outside the hotel I envisioned myself walking in the doors in a wedding gown! The hotel has such a touch of class and friendly atmosphere around it, the staff at reception immediately greet you with a big smile and are so pleasant. We decided to enquire about our wedding that day and spoke with Andrzej he was amazing and had so much knowledge he recommended a lot and we immediately began booking our suppliers on some of his recommendations I have to admit I was the "most relaxed bride ever" but I knew we were in good hands. We then dealt with Ben for the food tasting and final decisions and again he was amazing! The whole day itself went perfectly it was magical and we didn't need to worry about anything they were both were so hands on, Stephen and all the hotel staff were also a pleasure everyone of our guests couldn't speak highly enough of the food or choice of venue the best decision I have ever made was choosing garryvoe as our wedding venue!!! We love to take the odd trip down for lunch now it will always hold such a special place in both our lives. Thanks for everything! We celebrated our wedding at the Garryvoe Hotel in May this year and had a more amazing day than we every imagined. From the moment we set foot in the Garryvoe to enquire about the venue, until we left on our honeymoon everything ran so smoothly. This is down to the amazing team who all seem to genuienly enjoy what they are doing. Their enthusiasm added to the fun atmosphere on the day. The food was incredible and our guests are still telling us about how much they enjoyed it. The facilities at the hotel are brilliant, especially the library area which worked so well for our drinks reception and for some stunning photos. We organised the wedding from London and could not be more grateful to the team for how easy they made this experience. Any question no matter how big or small was answered promptly which meant we could just get on with the planning without any second guessing. Thanks so much to Stephen, Ben and the team. Myself and my Wife chose The Garryvoe for our venue in May 17. I have to say from our initial conversation with the management right through to checkout after the 2nd night they were the most accommodating, flexible, professional and courteous people I have ever dealt with in such a scale. The management bent over backwards to accommodate my wife with her most fussiest requests. Out of all of the hotels we visited (& we done our homework) the Garryvoe gave the best quality for our money. The newly renovated reception was the perfect setting and we got fantastic photos on the beach. The choices of food was unbelievable but the hardest thing was having to make a decision on what to put on the menu after our tasting night. Truly delicious, all of our guests taught the same. The rooms in general were very well maintained with a very high quality. The bridal suite though...!! As I said we done our homework and nothing we seen compared to the Garryvoe’s bridal suite. I know you don’t spend much time in it but it’s even fantastic for photos and also visitors the next day as it’s massive and you are just surrounded with luxury. I have no regrets about our decision and I can not recommend The Garryvoe highly enough for the scenery, venue and the management and staff...!! Staff in Garryvoe were very easy to deal with, professional and accommodating. We got married in Garryvoe Hotel in March 2017. The hotel staff, food, facilities and services were excellent. Andrzej and Ben managed our big day and they did so effortlessly. Nothing was a problem and all our requests were completed perfectly. The great thing about the hotel and staff was that the day was stress free for both of us and we enjoyed it immensely. I would highly recommend this as a venue to celebrate our big day. We had our wedding at Garryvoe Hotel 28/10/17 and we couldn't have asked for a better venue. The setting alone at Garryvoe beach is amazing and ideal for wedding photographs, but the hotel itself is the real winner. From the moment we first viewed the hotel we knew it was for us. The beautiful décor, and stunning chandeliers in the reception room couldn't have have it more charming. The bridal suite was like something out of a fairytale and we already cant wait to go back and stay there again.The staff were always available to us from the very beginning of the process and they were there the whole way through the planning to help make it the day of our dreams, no request was to small. So many of our guests came to us during the day and afterwards to tell us how much they enjoyed their stay at Garryvoe and how amazing the food was. Huge thank you to André, Ben, Brendan and everyone else at Garryvoe who contributed to making our day perfect for us. I can see why the Garryvoe hotel wins loads of awards. From the moment we booked this hotel the staff were just absolutely a pleasure to deal win. Nothing was to much trouble for Ben and Andrezj they were always on hand to help us out. Whatever we needed. Any brides out there you will not go wrong with this hotel. We had our wedding in Garryvoe last month and must say Andrzej was an absolute a pleasure to deal with all the way through. Also Ben & Stephen were fantastic to deal with on the day and the attention to detail on the day was superb. Everyone loved The hotel and our guests are still complementing the food, drinks reception and service received. We are beyond happy and impressed with our experience with Garryvoe. We will always have great memories of our day and this is truly down to all the fantastic staff at Garryvoe. We had our wedding reception in Garryvoe Hotel on the 10 September 2016. We could not have asked for a better venue or a more professional and friendly staff than at Garryvoe. They made the planning of our wedding so much easier and helped us in all the stages of planning our wedding by being very responsive, helpful and accommodating in any queries we had. We could not have been happier with the reception on the day and everything went very smoothly and Garryvoe made it a day we will never forget. We are so happy that we chose the Garryvoe Hotel for our recent wedding reception. When we first started looking for a reception venue, we thought it would be a difficult choice, particularly as we live abroad, but it turned out to be an easy decision once we visited the Garryvoe Hotel. We got a sense from them straight away that our wedding would be in safe hands and that everything would run smoothly despite us organizing things from afar, which is exactly what happened. Andrzej, Liz, Laura, Ben and Stephen were fantastic to deal with and made the whole process so easy for us. Everything about the Garryvoe was brilliant. The food was fantastic and they have a broad menu and are happy to accommodate other dietary needs, which was important to us as we had a few vegetarians, coeliacs and diabetics among our guests. The interior of the hotel was recently renovated so the decor is stunning, and the location is as picturesque as they come. Some of our guests travelled from abroad and they were very impressed with the hotel. The best thing about the Garryvoe, however, was the staff who were all so friendly, helpful and efficient. Nothing was too much trouble for them and many of our guests mentioned the friendliness of the staff afterwards. I'm sure there were one or two hiccups on the day but, if there were, we were never aware of them and were able to just focus on enjoying ourselves and spending time with family and friends. We have so many happy memories from the Garryvoe Hotel and really could not say a bad word about the place. Before the wedding, we thought it would be a great venue but it completely exceeded our expectations. We loved every minute of our time there and can't wait to go back for a visit! We had our wedding day on 2nd September 2016 in Garryvoe Hotel. From the moment we booked our special day in 2014 Andrzej helped and guided us and made both of us feel so at ease. I stayed in the hotel the night before and from when I arrived with my family to when I left with my husband the day after the wedding the staff could not do enough for us. Nothing was too much trouble for Stephen, Andrzej, Ben or any of the staff. The wedding day it's self was amazing, I did not have to worry about any of the little details as they were all taken care of by Andrzej and his team, the service from all of the management and staff was second to none. We did not look at any other hotels when booking our wedding in 2014 and I am so glad we did not as Garryvoe did not disappoint. Everyone has since commented to us on the food which there were seconds and thirds of! the service and how beautiful the hotel is and we wholeheartedly agree. Stephen, Andrzej and Ben are experts in their field of weddings and was definitely evident in the months and days leading up to the wedding. The function room is amazing, the decor is gorgeous and the lighting is just wow. I have only ever heard good feedback about Garryvoe and after having our own day there we could not say any different. If we were to have our day all over again I definitely would not change our venue it would be Garryvoe time and time again. The sun shone on our day but needless to say even if the weather is not great, it is still a spectacular venue. The bridal suite is gorgeous and to wake up and look out at the amazing views is definitely an experience. On the morning of the wedding, I was so calm and looking forward to the day ahead and that was definitely helped by all of the staff in the hotel making our experience of what is a stressful time so relaxed. When we left we felt like we made friends, we look forward to visiting the beautiful Garryvoe for many years to come. THANK YOU. We had a fabulous day at The Garryvoe Hotel for our wedding in August 2016. Ben and the team were very easy to deal with and nothing was too much trouble in the lead up to our day. Liz looked after us very well on the day too. The hotel library area is stunning. Guests thoroughly enjoyed the drinks reception here. Our meal was devine, as we expected. The food in The Garryvoe Hotel is always excellent. In all we had an incredible day and made memories to last a lifetime. Thanks to all at The Garryvoe Hotel. Im not one for writing reviews... but the decision we made to get married at the garryvoe hotel was the best decision we have ever made and they absolutely made it the best day of our lives. We live in England so were worried about having a destination wedding. Though with the garryvoe hotel, there certainly was nothing to worry about, from start to finish they were so helpful throughout the whole process. Our guests were so complimentary of the staff and could not get over how amazing the food and venue were but most importantly, how brilliant the staff were! We all stayed for the week of our wedding and had the most fantastic holiday and best day of our lives! 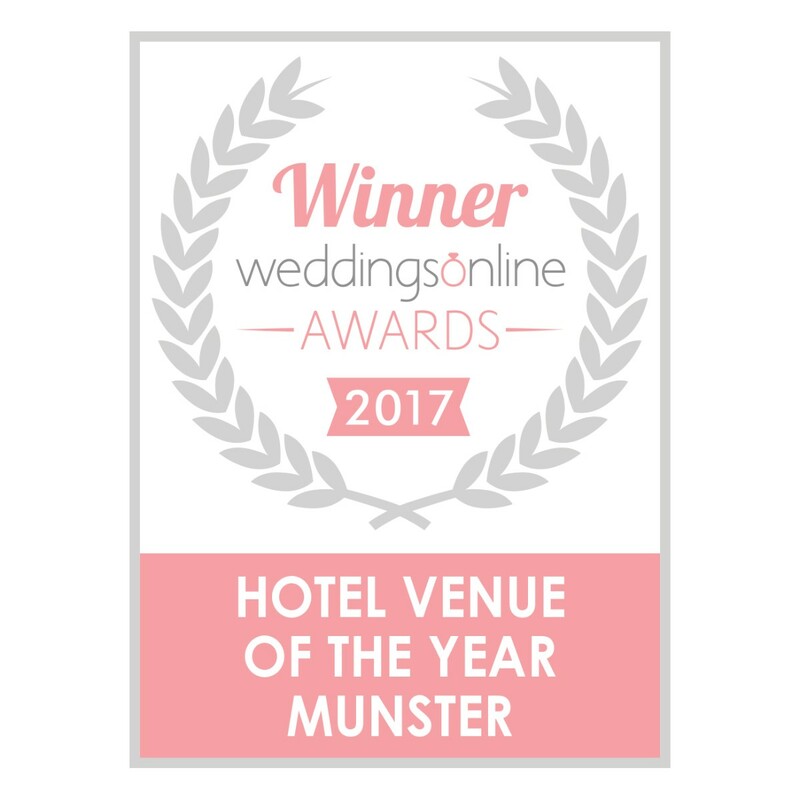 The minute we walked in the garryvoe and we're greeted by the team, we instantly knew that we needed to look no further and had found the venue of our dreams...and they certainly proved us right! Would absolutely highly recommended for your wedding and certainly as a destination wedding, you'll have an amazing time and experience... I promise!!! We had our wedding on August 5th this year. We couldn't have picked a better location for our reception. From beginning to end the staff and management were unbelievable. Andrej went above and beyond for us. His experience in the business is evident and his advice and support throughout the planning was extremely helpful. The venue itself is amazing and is perfect for every size wedding. We had a large enough wedding and it didn't for one second feel crowded. The reception staff in the days before the wedding were also fantastic. Even though they had 4 weddings in the week running up to our wedding every effort was made to ensure our day ran smoothly. The day itself went in a blur but I certainly won't forget the amazing food and service we received on the day. Our guests raved about the quality of the food and the friendliness of the wait staff. We also celebrated in the bar the night after the wedding, We would highly recommend Garryvoe for any special event. Myself and my wife had an amazing wedding day at the Garryvoe. The location is beautiful, the hotel and its facilities are 5 star but the best thing about the hotel without doubt is the staff. They are superb. A lot of hotels hark on about being family run but the Garryvoe is the only one where I've actually noticed the difference the family run element makes. Proper personal service, always making sure you are happy with everything and the feeling of genuine interest in us and making sure we were happy with the plans. The food is amazing. Hands down - best wedding food I've ever had, prob best food full stop! Fresh, high quality served by excellent staff. Yes, the staff again but really they are so good! All our guests commented on them. The hotel even rang ahead to guests traveling down the night before from up the country to see if they'd like dinner when they arrived in case they'd miss the restaurant and they'd have something ready for them. Most hotels wouldn't bother. Again personal touch, makes a massive difference. I can't recommend the Garryvoe more highly. If you have any doubts - just go down and see the place, talk to the staff , wedding planner, you'll see what I'm talking about! Oh and the gin cocktails - I could go on and on. 5 star hotel all day long! Other hotels in the area just don't compare! We had a fantastic wedding day in Garryvoe Hotel in June 2016. 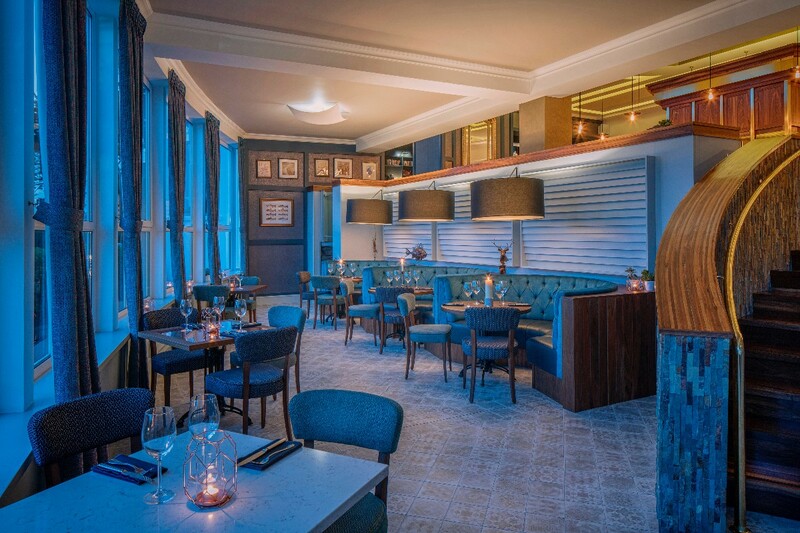 The Hotel has recently been refurbished and the transformation has been amazing so we were lucky that we could hold the drinks reception in the new Library which adds a whole new dimension to the Hotel. The setting overlooking the beach is spectacular and the views from the Honeymoon Suite cannot be matched. A lot of our family and friends decided to spend a few days in the Hotel on the lead up to and following the Wedding so were able to relax and enjoy the on site swimming pool and spa facilities. From the moment we booked the Hotel, Ben and Andre along with the rest of the Team could not have done anymore for us and they really did go above & beyond. As every couple knows, the lead up to the wedding can be very stressful but Ben really put us at ease and was more than willing to accommodate any requests that we had. All the staff played a huge part in making our day so memorable. The day itself flew by and everything went brilliantly from the drinks reception, the meal and the wedding band. The Ballroom is huge and the seating area by the Bar is excellent too. The Hotel is well know for its food and the food on the day was excellent and the waiting staff kept producing more portions so you certainly won't be feeling hungry after the meal. I would thoroughly recommend the Hotel to any couples getting married in the near future as you won't be disappointed. Believe us both when we say you won't regret booking the Hotel as it really is one of the best wedding venues in the country, taking into account the scenery, fantastic food and the brilliant staff. Only advice I would give couples is to book the Hotel early as it's nearly always booked up two years ahead for the summer months and you really don't want to miss out on having your big day there. Neil and I wanted to say a huge thank you to the team for making our wedding day flawless. We honestly couldn't have wished for a better day/venue. The staff were an absolute credit to the venue and the local area. Nothing was ever a hassle, everything was set up like we wanted and the friendliness from everyone was infectious. A special mention to Liz who served our top table. She was outstanding. She put everyone at ease, made sure we had everything and kept us on track and made sure Neil & I ate on the day. But most of all she joined in on the fun. She put a nervous best man at ease. She was just fantastic. To the ladies at reception Maura, Tracy and Nina they were just so helpful and kind to our family and friends. We felt like they took a really genuine interest in our wedding and wanted to make sure everything was on track. Since the wedding we have had so many compliments about the food and staff from our guests. Our guests were just so impressed with the quality and quantity of food. This for us was such an important thing. Stephen from the moment we met him was amazing. It was so very clear from the outset what the venue would cost us. No added extra charges. Nothing was ever was a problem. Our guests were welcomed so warmly. Planning from abroad was made easy by choosing Garryvoe. We had a fantastic communication, extremely quick response rates and a detailed call to run through how we wanted our day to run. Stephen was great at providing us information on local area such as bus company, taxi's and a venue for the next day celebrations. We couldn't fault the venue, Service was amazing, We would highly recommend this venue to any future bride and grooms. If you want to feel no pressure and feel that everything is in control choose this venue. My husband and myself got married in Ballycotton on the June bank holiday weekend and we had our reception in The Garryvoe Hotel . I can not speak highly enough of Andrzej and the team at the Garryvoe Hotel. From the moment we booked The Garryvoe as our venue the team were on hand to help with any little question. The team have huge experience in hosting wedding parties and it really shows, we had a totally stress free day and run up to the wedding and this was in no small part due to the help that was offered by The Garryvoe and the fact that we knew we could fully rely on the Garrryvoe to host a great day. we had over 280 people at our wedding, and not one guest was served a cold meal, was sitting in a spot where they couldn't see the top table or struggled to hear the speeches. I would have absolutely no reservations in recommending the Garryvoe Hotel to any Bride or Groom. We got married on 28th April 2016 and it was simply the greatest day for both of us. It was everything we had hoped for and so much more. A huge part of making the day so memorable was the help, professionalism and support from beginning to end from all the team at Garryvoe Hotel. We had looked at a few other venues before Garryvoe but within minutes of being greeted and shown around by Andrzej, we both knew Garryvoe was the place for us. The ballroom itself is gorgeous, the new Library drinks reception area was just so comfortable for all our guests to gather, listen to music and get into the party mood. We really enjoyed the menu tasting prior to the big day and we got numerous compliments from our guests on the tastiness of the food. Andrzej, Ben and all the staff are just so friendly and nothing ever seemed to be any trouble to them. We are so thankful to everyone at Garryvoe to looking after us and all our guests so well. We look forward already to going to back to celebrate our anniversary next year. We had our wedding at Garryvoe Hotel in February and it was amazing. From the start of our planning from the UK the staff and management were extremely helpful right up until after our wedding (we stayed an extra couple of days). Our wedding day was amazing and the hotel catered for all our guests dietary requirements without any complications as well as facilitated our set up with our different entertainment arranged. The staff we're so welcoming and friendly and we look forward to returning in the future. They also ensured that the shiny new drinks reception area was ready for our wedding and it was a stunning transformation. A huge thank you to Andrzej, Ben and Liz and all the staff for making our day perfect in every way. All in Garryvoe went above and beyond to make sure we had an amazing day, fabulous food, great rooms and brilliant staff! Made everything super easy for us along the way too...couldn’t fault it. Spectacular wedding venue, we couldn't recommend them highly enough. From our very first contact, Ben, Andrzej and all the staff were amazing, so helpful, so easy to contact, everything you would want. The wedding itself went without a hitch, everyone was commenting on the unbelievable function room, the beautiful hotel rooms and the (loads of) delicious food. We were so well taken care off, we really couldn't have asked for more. We had an amazing day and couldn't speak highly enough of Andre and all the staff in the Garryvoe Hotel. They made the build up and the day itself a total breeze and bent over backwards to help us with everything. The day went without a hitch and the food was top quality. We had so many guest tell us it was genuinely the best venue they had been to. From the very first day, when we had a meeting to see the hotel to the wedding itself. It was very obvious that our wedding was every bit as important to Andrezj and Stephen as it was to us. They were always their to help and the staff were great if we needed to call for anything. The day was fantastic well beyond our expectations. The food was amazing and the staff were so professional. It really was the little details on the day like the staff knowing all the top table by name etc. Just perfect, one amazing wedding venu. Where do I start!! Garryvoe provided a 5 star service on our big day. We live in the UK so whichever venue we decided on entailed us placing our full trust in the hotel and its management. Within 5 minutes of visiting Garryvoe and meeting Andrzej, we knew that this was the venue for us. We were made to feel very much at ease and nothing was too much trouble. As with most of the hotels in Cork and Ireland, they are very well suited to the larger wedding however, we had an intimate wedding with 45 guests. Some other venues had limitations to our options because of this, but not with Garryvoe, anything we asked for was accommodated. The bridal suite is absolutely to die for!! In fact all of our guests mentioned how lovely their rooms were and the food was absolutely to die for, could not ask for better. The whole run up to the wedding was so stress free and this was mainly down to Garryvoe. On top of a 5 star service with beautiful surroundings, this all came at a very reasonable price which is so refreshing when it comes to weddings. All in all, I would have no hesitation in recommending Garryvoe and the team for the beautiful surroundings, gorgeous venue, amazing food but above all top class service and staff! Thank you so much to Stephen, Andrzej and all the team for make our special day so amazing! As soon as we saw Garryvoe Hotel we knew it was the perfect setting for our wedding day. Booking was the best decision we could have made. We enjoyed a truly wonderful wedding weekend. The staff and their service was exemplary in particular Ben the hotel manager. In preparation for the wedding they were attentive to our requests/needs ensuring they helped us plan the perfect day. We enjoyed a wonderful wedding weekend and throughout the weekend staff were helpful, professional and dedicated in ensuring the needs of all our guests were catered for. On the wedding day the attention to detail was fantastic and everything was as we wanted because of the hard work of all the staff at Garryvoe. The venue looked amazing and the food was unbelievable. Many of our guest commented it was the best wedding breakfast they had ever tasted. In the evening the staff ensured the band and DJ were catered for to ensure a wonderful celebration late into the night. We really can not say enough kind words about the wonderful people at Garryvoe Hotel. They were instrumental in planning and arranging our wedding and the care and professionalism they showed allowed us and our guests to enjoy the perfect day ! We cannot thank Garryvoe enough for the amazing service we received during our wedding weekend. Everything was top notch from the food, the rooms, and of course the service! They make you feel at ease from the first meeting; a special thanks to Andrzej for this. They give you honest advice and are never pushy with any decisions. The reception team are always so warm and friendly and always put me at ease with my many questions The food was gorgeous, and Ann was so helpful during the tasting and made us feel right at home. Our guests were all pleased with the selection and quality they offered. The honeymoon suite was amazing, such a haven to relax in after a hectic few days. It was great to have the two floors and enjoyed having family and friends over the day after the wedding for a drink and cake There are too many things to compliment the hotel on. I think it sums it up that when my husband was hungry the night after the wedding and rang after the kitchen had closed they still dropped up an amazing selection of sandwiches, crisps and sauces to us. They really couldn't do enough for us. Don't hesitate to book this venue for your wedding!! Hi Everyone, I choose Garryvoe Hotel as I had attended a wedding there in 2013 and found the service, food and setting excellent. The bride and groom also highly recommended it after the wedding. We got married on the 7th of August this year (2015) and the Team in Garryvoe could not have been more helpful in the preparation of our big day. They gave sound practical advice in organising a wedding for the big crowd that was attending. They were flexible in the arrangements of menus and wine. They always responded swiftly to phone call and email queries. Any request that was made for the big day was facilitated. I had a plan of how I wanted to have the reception and function room organised and they had it done to the tee on the day. The staff were so kind and gave our guests a warm welcome on arrival. The food was excellent even when catering for a large wedding of 270. Guests wine glasses were topped up regularly which is always what you want to get a good night off to a great start! Andrzej was the main manager we dealt with and he was super at his job. We enjoyed dealing with him as he was so practical in the way he thought and had a great way with people. We also dealt with Ben and Stephen closer to the day and they were very professional. The staff were all excellent on the day and guests commented on this also. Garryvoe hotel is overlooking the beach and we were able to get some fabulous photos there. The bridal suite is amazing with two floors and a glorious view of the beach and lighthouse. We would highly recommend it as a wedding venue! Hi Andrezj, It's so nice to hear from you. Of course, I would be thrilled to provide a testimonial for the amazing Garryvoe Hotel: From the minute we arrived to Garryvoe, a year and a half before our wedding date, we were made feel so special. Time was never an issue and we felt so at ease dealing with Andrezj, Stephen and Ben. Any meetings we had were relaxed, informative and lasted for any length we saw fit, to answer our queries. No stone was ever left unturned with the precise manner and attention to detail that was shown by all members of staff in Garryvoe Hotel. Planning our special day to exactly the way we wanted it was equally the aim shared by everyone in Garryvoe. Andrezj was amazing to deal with, his friendly and enthusiastic manner was fantastic and really enthused us also, as a result. He always answered our queries and questions promptly and realistically. The entire day itself was planned to absolute perfection! What can we say, Garryvoe Hotel know weddings like nobody else! We really felt that the whole team in Garryvoe were behind us and did their absolute upmost to ensure we had the best day of our lives, which we most certainly did! The personal, friendly and approachable manner exhibited by all staff is something we really want to highlight and commend. With particular mention to the detail in which the staff set up our sweet cart, drinks reception, bespoke table plan, guest signature sheet and thumb print portrait. The staff even laid out little jars with crochet collars my mother maid with flowers inside that I had delivered the day before in quite a hurry. No request was ever declined or questioned, instead , all the team rowed in and exceeded our expectations, creating a fabulous exhibit for all our guests. Communication amongst staff members is superb. Rest assured, if you say something once in the Garryvoe Hotel, it is noted and carried out with tremendous efficiency. More importantly, the meal was superb. All of our 270 guests were served all at the same time and the food was presented beautifully, was fresh, piping hot and most importantly tasted beautiful. The fillet of beef was divine along with the medley of desserts that we actually designed ourselves. Andrezj and the chefs had no problem at all in us 'tweeking' one or two deserts slightly as we wished. Friends of mine who are coeliac admitted that it was the best wedding they were ever at in terms of how their dietary requirements were catered for & in such a discrete and professional manner-well done. This was no different for some members of the bridal party who had specific dietary requirements, they were thrilled and reassured, knowing they would be able to eat a meal they knew they liked in comfort. The refreshments served later in the night were equally amazing with home cooked ham in the sandwiches alongside other fresh local produce. All of ten staff working on the night knew our names on the top table, this was something I notched and was very impressed with. The sheer manners and courtesy shown to us and all our guests was outstanding. The band, DJ photographer and videographer were all welcomed wholeheartedly into the Garryvoe Hotel by staff members and were looked after. The dreaded task of the table plan was actually done with ease with the invaluable advice received by Andrezj, Stephen and Ben. They all worked tirelessly to help us throughout the whole process. From start to finish our experience of dealing with The Garryvoe Hotel was enjoyable and most certainly fruitful, for we had the best day of our lives!!! Our families and friends have been commending the hotel since and a few have already made plans to visit again. For any couples who are considering Garryvoe as their wedding reception venue , I cannot recommend the hotel highly enough. Being reasonably local to Garryvoe myself, I would love to commend the overall community feel within the hotel. The friendly , efficient and impressive team work approach is so apparent once you step foot into the hotel. Lastly, we will definitely look forward to celebrating many more special occasions in the Garryvoe Hotel in the forthcoming months and years. I would like to extend a heartfelt thank you to ALL the staff and particularly to Andrejz who we made a particularly special connection with. 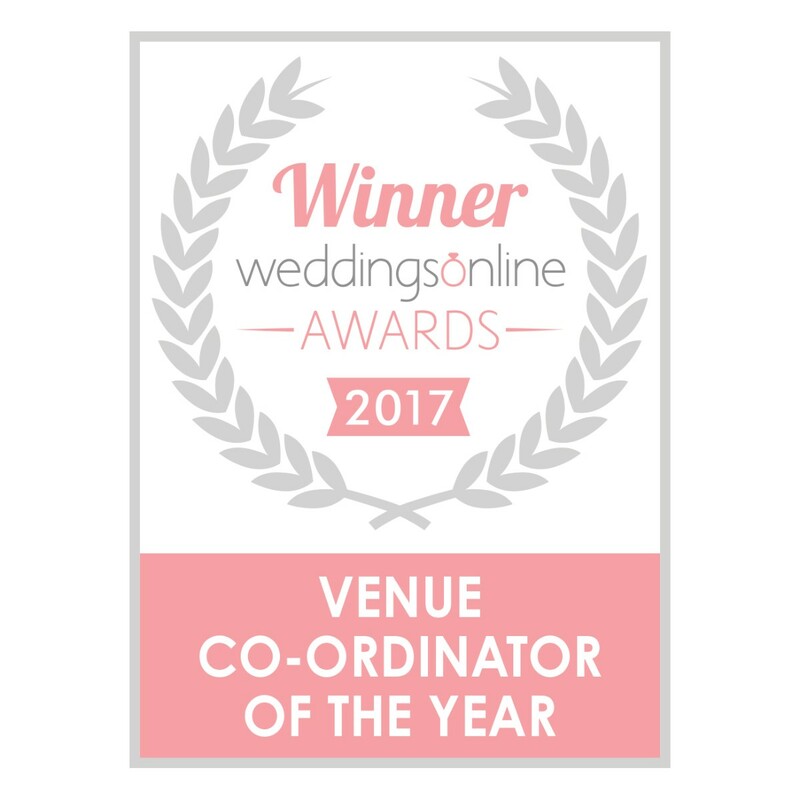 As a wedding venue, I could not think of a more friendly, professional, understanding, beautiful and accommodating place. We had such an amazing experience and were blown away by the staff who were willing to go above and beyond to ensure we were looked after both on the day itself and beforehand (in fact the service continued after the wedding day as well). Food: Above par (guests were very pleased). Service: Extremely good (glasses continuously being filled, reception always there to help in any way, etc.) Room: The bridal suite was outstanding with a great view. It's perks were the 2 levels (opportunity to host a small gathering the following night upstairs around the large dining table), a Jacuzzi, a sauna, gorgeous view and a very comfy bed. Our guests also commented on their own individual rooms with positivity. Value: Very simply... Great value! We have no criticisms and would recommend it to anyone. I attended a wedding reception held at the Garryvoe Hotel and was lucky enough to stay over the two nights of celebration. The hotel is amazing; comfortable, clean, decor excellent. The location is fantastic. The staff are very friendly and helpful. The food was excellent, well prepared and hot. Excellent. They promised us the day of our dreams and they delivered. Amazing food, beautiful venue and the staff couldn't do enough for you perfect wedding venue. We just wanted to say huge thank you to the garryvoe team for making our day so special and memorable, it really was outstanding! right down from the mangers to the reception staff they could not do enough for us. a big thank you again and we will certainly be stopping by again soon! What an fantastic choice we made in choosing Garryvoe for our wedding venue. The management were extremely accommodating in every way. On our day we were both able to fully relax and enjoy ourselves knowing it was all in safe hands. The staff were super friendly & professional. The food was to die for & the venue magical. Oh and the honeymoon suite is out of this world! Would I recommend Garryvoe to people? Absolutely! A big thank you to the garryvoe team for making our day so special, we will never forget it. and dont worry we will be back :) !! I couldn't possibly say enough about Garryvoe Hotel! From our first visit down there, to every visit and phonecall in between, the staff could not have been more helpful and accommodating in every way. We fell in love with the place as soon as we went down there. The ballroom in particular is just magnificent and took my breath away. By the time we were shown the bridal suite, we knew that that was where we were going to have our reception. In the lead up to the wedding, a member of staff was always available to talk to, even if we just happened to drop in to the hotel. In the days before the wedding, we were able to drop bits and pieces off at the hotel and left instructions and they were set up for us on the day of the wedding, no problem. Everything went so smoothly, absolutely nothing went wrong in the hotel and we weren't bothered by staff asking us lots of questions or looking for direction. The only time we were asked about anything was when the Prosecco was running low and did we want to put out a few more bottles. They run a very tight ship down there and were like a well oiled machine. All the staff were fantastic to deal with and our guests were very impressed. I was particularly impressed that all the meals came out in great time - all within about five minutes of the top table being served. Dinner was served promptly and didn't drag out. We had decided to hire a florist to do the centrepieces and there was no problem with her coming down and setting up either. We were so happy with our day - anything we asked for was accommodated. If you choose to have your wedding day in Garryvoe - you will not be disappointed. Our wedding day happened to be literally the wettest day of the year so far and it did not stop all day and night - the hotel was so fantastic, no one even noticed! I would recommend Garryvoe with a heart and a half - let them help you create the happiest day of your life! We cannot rate Garryvoe highly enough. The staff and management were fantastic from start to finish. Neither of us live in Ireland so organising the wedding wasn’t easy but with Garryvoe, not only were there no problems, nothing was too much for them and they were always looking for ways to help. Every person we met in Garryvoe from the managers, bar staff, receptionists and waiting staff were all only too willing to help and the professional service was always provided in a personal friendly manner. As for the hotel itself, we looked at many hotels both in Cork and the UK but the moment we saw Garryvoe, there was only one option. The function rooms, accommodation rooms, reception area, bar, restaurant etc are all superior to the competition. When you add the hotel itself to its beach front setting, it’s hard to see why anyone would go elsewhere. Finally we have to mention the food. The hotel really did not let its standards slip here and the food served on our day was every bit as good as that we ate in the restaurant and bar on our visits to the hotel in the months leading to the wedding. We will be back many times to eat in the Lighthouse bar. We know a review should be balanced but struggle to point out any negative. We had the most amazing day on our wedding day in garryvoe hotel, the management and the staff could not do enough for us. The venue and wedding suite are fantastic. Thanks again to garryvoe hotel for making our day so special. we had our wedding in garryvoe in march 2015. A fantastic setting! The staff in the hotel were all so kind, friendly and accommodating. They went above and beyond their duty and gave us complete faith that the day would run smoothly. We got so many compliments on the hotel, staff & amazing food. We would especially like to thank Liz who really looked after us at the top table. She made sure we were calm& collected for the speeches and ensured we were all fed and watered! Please pass on this message of thanks to all the staff & thank you for making our day unforgetable & perfect! We will certainly recommend the hotel to all our family & friends! From the time we walked in to view venue we were well looked after. Very informative, polite and helpful. Amazing views, fantastic bridal suite and a great day had by all. Everybody says that your weding day is the best day of your life and after ours I truly believe this and this was mostly due to Garryvoe Hotel. From the first consultation down to the day itself,the staff were amazing they gave every minute of the process a real personal touch. We had the pleasure of organising our big day with Ben the wedding co coordinator. He was so attentive and precise down to every last detail. He was always easily contactable by phone or email which was really re assuring. If he was not available Andreaz another coordinator was more then happy to help and was also amazing on the day. When choosing our menu for the big day there was an abundance of choice . The meal tasting evening was beautiful the staff were so attentive and were brilliant to give their expert advice when making our selections. They made us feel comfortable and gave us lots of time to make our choice's. The Day itself was perfect everything ran smoothly throughout. The service during the meal was flawless the staff were so friendly and the food was impeccable. We had the pleasure of having a lovely lady called Liz looking after us for the day and she made us feel like royalty her manner, friendliness and attention to detail was the finishing touch on the day. The bridal suite in the Garryvoe Hotel is out of this world the views and the décor our breath taking we didn't want to leave. The memories we made over the weekend in Garryvoe will never be forgotten. I would recommend the venue to all future brides and grooms without any hesitation. I had heard loads of positive things from other people who had their wedding here which was a factor in why I looked at Garryvoe in the first place. From the day we went down to look at the hotel to the day we got married I can only describe our experience with them as amazing. We were treated like ours was the only wedding in the hotel which made us feel so special. Every single staff member were so friendly and professional. I would highly recommend this hotel for your wedding for a number of reasons - amazing food, the function room is gorgeous especially at night when the lights are dimmed and change to all different colours. You don't have to pay money for things like chair covers and centrepieces as the chairs don't need to be covered here and the hotel provides centre pieces. The bridal suite has to be seen to be believed! Two floors of luxury. Outside of all this the managers are such a pleasure to deal with. Planning a wedding can often be stressful but I never once had a second of stress or anxiety when dealing with the managers here. If anything Garryvoe makes it feel like a wonderful experience. this really is a five star wedding experience! On our quest to find our wedding venue the Garryvoe Hotel came second to none. They were most helpful and forthcoming with information and, most importantly, took the time to listen to us as an individual couple to give us our dream wedding. The food was superb and their staff are highly trained. We've received nothing but praise and positive feed back from our guests. The hotel itself is a romantic, stylish establishment. I would highly recommend this hotel to anyone planning their dream wedding as it will be delivered with ease and efficiency. I couldn't recommend Garryvoe Hotel enough for your wedding day they certainly made ours very special,a special thanks to Andrej such a lovely person to deal with and made all the planning so easy,we had an amazing day and are so thankful to the staff at Garryvoe Hotel who were all so friendly and helpful,if you are thinking of Garryvoe Hotel for your wedding day I would definitly advise you to go and check it out you won't be disappointed. We truly cannot thank you all enough for all you done especially Andrzej, Stephen and Ben ye are one in a million and nothing is too much trouble for anyone in Garryvoe. All our guests are still talking about how amazing the food, service and venue was choosing Garryvoe Hotel for our wedding was the best decision we ever made. My partner and I chose the Garryvoe Hotel for our wedding ceremony and reception after considering many, many hotels in Cork and Waterford. On our first visit, we were blown away by the courteousness of the staff, the impeccable cleanliness, and the overall experience of visiting the Garryvoe. In the run-up to the big day, the staff couldn't have been more helpful, especially Laura at Reception and Manager, Andrzej. Everything on the day was perfect, the layout of the ceremony room, the tea and coffee reception, the ballroom and, of course, the service. Dinner was exceptional, with the dining staff even offering extra helpings! I honestly couldn't praise the hotel enough. Even though the cost was a little higher than other hotels in the area, you get exactly what you pay for. High quality and excellent service guaranteed. I couldn't fault the hotel or the staff and would definitely recommend it to any couple looking for their wedding hotel. We also stayed in the Bridal Suite for two nights, and wow! It was fantastic, and the room service was fantastic. The overall experience really made our wedding day perfect! Being from East Cork and having attended a number of weddings at Garryvoe Hotel, booking our wedding there was a no brainer. We booked our date with Stephen and from the beginning Stephen and all of his staff have been extremely helpful and very accommodating. Stephen is great to reply to emails (even though my questions may be a bit mad a times!) very quickly and he is full of little advice bits for us which we greatly appreciate. Having had our menu tasting we have had a taste of what is to come and we are really looking forward to celebrating our wedding day in Garryvoe Hotel. 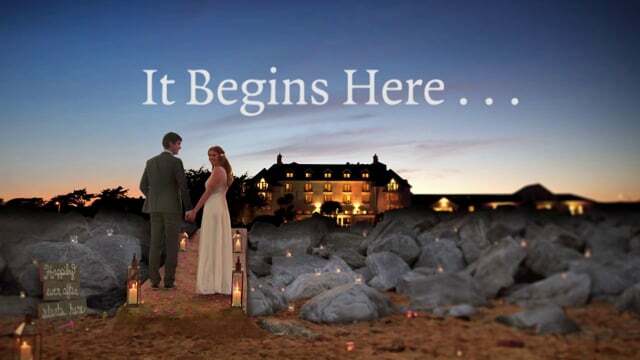 It is a beautiful hotel in a fabulous setting and we would highly recommend it to all brides and grooms to be. To Andrzej, the management and all the staff at the Garryvoe Hotel, sincere thanks for helping us make our special day so perfect. Each and every staff member was a pleasure to deal with and so welcoming and friendly. It's a day we'll never forget. We were guests at a wedding there and OMG the food was AMAZING (and there was LOTS of it)! Great service, lovely rooms, use of the leisure centre which went down a treat with everyone . . .The couple got lovely photos on the beach and honestly, the staff couldn't have been more helpful. To Andrzej, thanks for all your help and advice and for making our wedding day such a special one. Best wishes! Ben, Andrzej and all at the Garryvoe- thank you so much to everyone for all that you did for our wedding weekend. See you shortly. Andrzej and all the staff at the Garryvoe- We cannot thank you enough for all the time and effort you put in to making our day absolutely perfect. We cannot reccomend the palce highly enough. 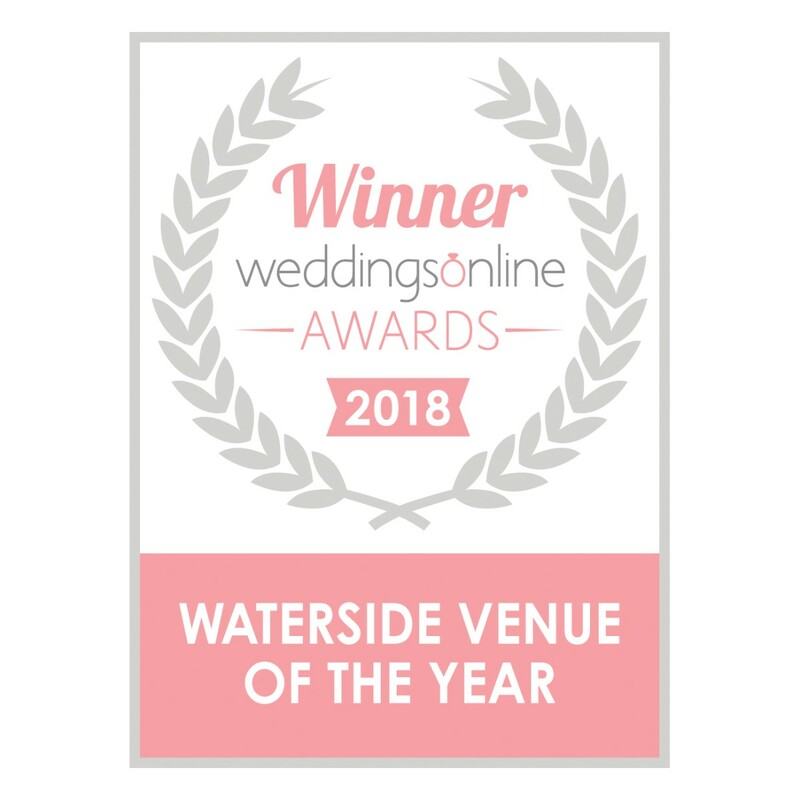 Some of our guests said it was the best wedding they had been to- so relaxed and so much fun and when they asked the secret, our answer, without a second thought was- the venue. Of course we think we had a great crowd too but honestly the hotel was fantastic. Some wedding guests have already been back and others have said they have trips planned to Garryvoe. From our first meeting a year and a half before the day, up to when we left 3 days later, there was not one thing we could find fault with. Thanks again. Dear Stephen and all the staff at Garryvoe- Julie and I just want to thank you for the wonderful sevice you provided for us on the 1st of January. We had an absolutely magical day and Garryvoe was a very big part of of it. Great food, great service and most importantly, for our guests and ourselves, a great welcome! Thank you so very much. Dear Stephen, we have been meaning to send you a note for some time- time has flown since our big day at the end of August. Thank you again to you and the entire team for looking after us so well. Our guests are still talking about the food, beautiful room and very friendly service. Wishing you and all the team a happy Christmas and peaceful New Year. Thanks and best wishes. To Stephen, Andre, Ben and all the staff at the Garryvoe Hotel- a big thank you to all for making our wedding day extra special and for all your hard work and help coming up to and on the day of the wedding. Everybody was very helpful and the service was excellent. People are still talking to us about the lovely meal and the beautiful ballroom. Thank you again. Hope you all have a happy and peaceful Christmas and best wishes for 2014.